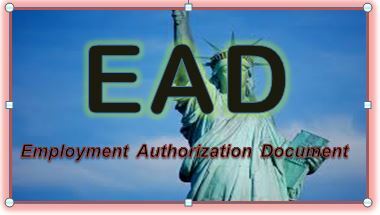 Acceptance of Applications: DACA applications for renewal of their status and EADs are being accepted by USCIS for adjudication. USCIS will process these applications based on previous DACA renewal timelines. Those are not Eligible to Apply: Applicants who have not previously submitted DACA applications will not be allowed to apply now. Danger of Removal: Regarding enforcement actions against DACA recipients, DHS states that they are not a priority or target group for arrest or removal, absent additional negative factors such as criminal conduct, DUI, etc. Generally speaking, individuals who pose a threat to U.S. national security or public safety are subject to arrest and removal. Employment Authorization: DACA applicants who are eligible for deferred action status are also eligible to apply for Employment Authorization Document (EAD), typically for 2 years. With these EADs, DACA recipients may work for any employers in the United States. Periods of employment authorization are not retroactive and, therefore, applicants should apply at least 120 days in advance of expiration. Denial of Requests: DHS encourages qualifying individuals to file a DACA request. DHS also states that some individuals may not be approved for DACA benefits due to their individual situation. For example, those with a criminal background will likely be denied DACA benefits. According to statistics of Migration Policy Institute, approximately 1.3 million individuals are eligible to apply for DACA benefits. Only 52% of these individuals actually participate in the program. Most DACA recipients come from Central and South America. Smaller percentages of recipients are from Asian countries including the Philippines (21%), India (17%), South Korea (15%), China (3%), Vietnam (1%), etc.